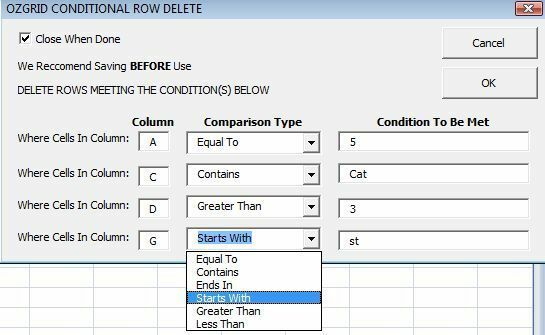 Delete rows on an Excel worksheet by conditions in an instant. Specify up to 4 conditions across 4 columns (contiguous or noncontiguous). At least 1 condition is mandatory, the remaining 3 are optional.